We had a busy weekend lined up for us last weekend, with the Sheffield Outdoor City Weekend on. If you've never heard of it, it's a festival of outdoor events, celebrating sports, hobbies and all things outdoors in Sheffield. It's part of an initiative to put Sheffield on the map as the UK's first 'Outdoor City'. Saturday we did an exclusive demo with A Line Coaching. Gareth and JP from A Line are Brand Ambassadors for Cotic, and both run Rockets for both coaching and razzing! 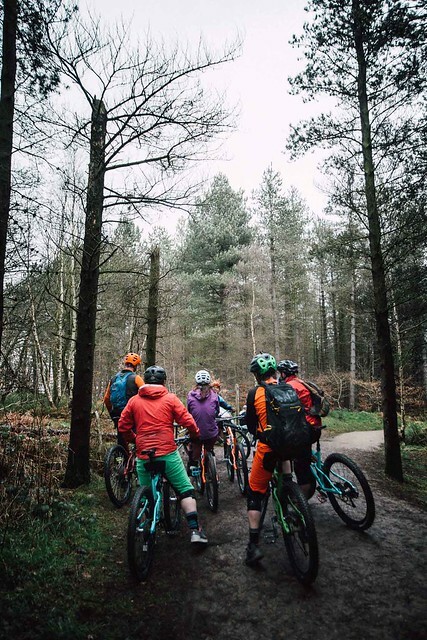 A fantastic group of people all keen to demo a Cotic bike turned out at Greno on Saturday morning to get some pointers from Gareth and try the bikes. Saturday was also the Howard Street Dual (AKA Steel City Dual Slalom), a never seen before event taking place in the city centre. This unique event saw riders go head-to-head in knock out stages. The course was pretty short, but this made it very close between the riders which made it all the more challenging! The race saw a lot of Sheffield grown talent as well as some riders that come from further afield. Of course, Steve Peat got in on the action, finishing in 3rd place. Having had a bit of cheeky practice on the grass on Friday when Mat, Nick, Carrie, Peaty and I had to muck about and gurn for the Look North cameras, I was pretty nervous on Saturday when I woke up to light rain. It was wet and greasy as hell! I wasn't the only one thinking this on the course walk. However, the wooden features built were amazing and had sand paint for grip, and rubber mats were thrown down on the slipperiest bits of concrete in the street. Nothing left for it but to ride! What a great course! It was challenging and fun and interesting and you never quiiiiite got it right, but it was so good riding it. Crowds were soon gathering, and sitting in that start hut at the tops of the steps, looking down the course, is something I won't forget in a hurry. Noisy crowds 3 deep in places, in the middle of the City, with a mountain bike track as far as you could see. So special. After seeding it was race time, with plenty of time to chat to curious passers by whilst waiting for the off outside the Millenium Gallery. I was drawn against Will - battle of the Cotic's! Unfortunately for me, Will is pretty much as handy as his older brother, Rocketman himself, so I was in for a tough draw. I decided to run a Rocket because I needed grip to spare and the flights of steps at the top meant I could pedal all the way down too. Will on his BFe couldn't keep up at the start, but that was the only place I bettered him. He was MEGA on the wet grass and I was well beaten both times. He went on to a controversial knock out in the quarters after an 'interesting' decision. Not that we're bitter! After getting knocked out of the race, I just enjoyed the show, and the Cotic stand became the unofficial social hub at the top of the hill. Was so nice having everyone hanging out and cheering the others on. I can't think of another City in the UK that would have pulled this off. Massive thanks to Nick Hamilton and Jon Dallow for putting in countless hours to make it happen. I'll say it again: What. A. Day. Sheffield, you are the bloody dream. Sunday we had an open demo day at Lady Cannings, if you're familiar with Lady Cannings you'll know that even on a relatively calm day it can be windy up there. We'd decided to go on a particularly windy and drizzly day. The demo day flag did well to stay upright all day! The weather didn't deter the keen demo riders, there was a definite buzz and bustle around Lady Cannings, passers by were stopping to tell us how happy they were the trail was open again, after it being closed for around 4 months. 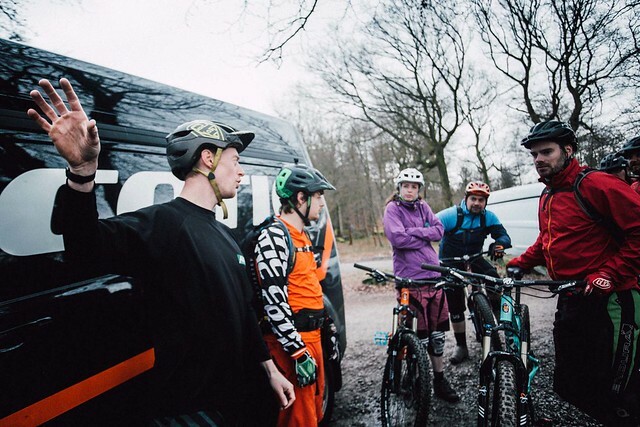 We bumped into Cotic owners, who were thrilled to see us and so many people on the trails riding a Cotic. Hopefully we'll see them at our Cotic Spring Party 22nd April. 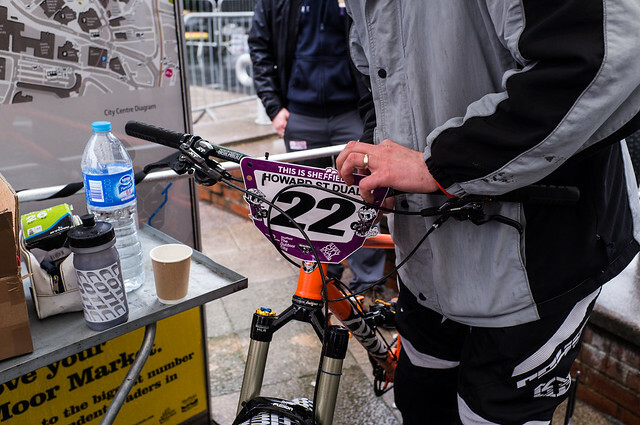 It went on to be one of our busiest demo days ever, with so much interest and people out enjoying the outdoors for the Sheffield Outdoor City Weekend. Wow! What a weekend!! Now where's the coffee?